With tomorrow being the last day of year, here are Mets most important, memorable moments in 2012. 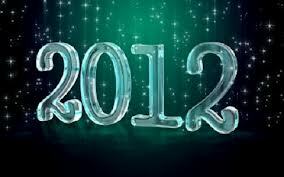 If you haven’t been paying attention to your beloved Mets lately, here is a quick recap of there 2012 on and off the field. Even though it ended badly with just 74 wins, their were several significant moments for the Mets. 7. Mets cut Jason Bay– Exactly three years and one day ago, the Mets signed Jason Bay to a four-year contract worth over $66 million. Bay badly struggled in his three years in Queens but none more than 2012. It all came to fruition when the Mets and Bay parted ways on November 7th.The Mets had no choice but to cut him and Bay signed a one year contract with the Seattle Mariners earlier this month. The Mets needed to move on from Bay and it was a significant day for the Mets when he and the team agreed to part ways. 6. R.A. Dickey wins his 20th game– In September Citifield was an absolute ghost town. However the place was loud and the fans were excited every time R.A. Dickey took the mound. On September 27th, Dickey won his 20th against the Pittsburgh Pirates. It turned out to be the last game Dickey ever won as a Met but it was a fun moment for a team that was already eliminated from the playoffs. 5. David Wright breaks Mets all time hit record– Also against the Pittsburgh Pirates, David Wright got an infield hit to break Ed Kranepool’s record on September 26th. It was a fun moment for the sparse crowd at CitiField and seemed to help cement Wright as a player that the Mets had to keep, which is exactly what they did. 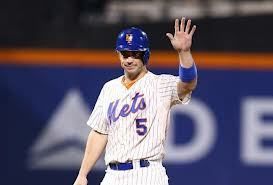 Wright now has 1,426 hits in his career as a Met and should now have plenty more. 4. 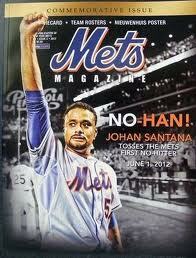 Johan Santana throws first no-hitter in Mets history-It was the greatest moment on the field for the Mets in 2012. The excitement built up as Johan Santana got through each inning on June first against the St. Louis Cardinals. The thought as Santana got closer and closer was that Terry Collins was not going to let Santana finish the game. Santana was not pitching more than 100 pitches each start and got through 134. In the game Mike Baxter, completely sold out his body to make an incredible catch aganist Met-killer Yadier Molina in left field to preserve the no-hitter. It was a great moment for the Mets franchise and now the Padres are the only team without a no-hitter. 3. 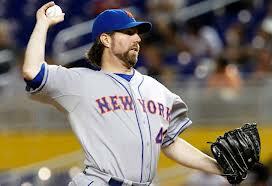 R.A. Dickey wins the N.L. Cy Young– On November 14th the Baseball writers association of America awarded Dickey as the National League Cy Young award winner. (BBWAA) Dickey was named first on 27 ballots and second on the other five of those cast by two writers representing each league city to score 209 points, based on a voting system that rewards seven points for first place, four for second, three for third, two for fourth and one for fifth. The idea that Dickey went from the first guy cut in Spring Training in 2010, to a 38-year old knuckleball throwing Cy Young winner is one of the greatest stories in the history of baseball. 89% of BrokeMets viewers thought that Dickey deserved the Cy Young. 2. The Mets trade R.A. Dickey to the Toronto Blue Jays– It finally happened,on December 26th, the Mets traded Dickey to the revamped Blue Jays. The deal brought the Mets catcher John Buck, who will likely start the season as the opening day catcher as well as two top prospects Travis d’Arnaud and Noah Syndergaard. Acquiring a top flight catcher is nearly impossible to do and yet Sandy Alderson may have done the impossible. 1. David Wright agrees to an 8 year extension– On November 30th, the Mets agreed to an eight year contract with their star third basemen David Wright. Wright is one of the best 3B’s in baseball and a good 3B is hard to find. Most importantly Wright will be the first star position player to spend his entire career with the Mets. Every record will belong to Wright by a large margin by the time his contract is up in 2020. This title says it all. The Mets are the only team in the major leagues to not sign a free agent to a major league contract this winter. All 29 other teams have signed at least one. Going into the offseason we knew the Mets were strapped for cash but still expected them to sign a few guys to this point. It’s still probable that the Mets sign a free agent or two but it’s no question that the Mets are more strapped for cash than Sandy Alderson let on a few months ago. Going into the offseason I thought the Mets had around $5-10 million to spend on new players. Alderson made it sound like the payroll could be slightly more if the Mets needed it. Since then the Mets cut Jason Bay to defer his payments and signed David Wright to a new deal. Wright’s new deal is also deferred. Wright’s contract goes from $16 million to $11 million plus $3 million more in deferred money. That means the Mets are saving about $8 million more on Wright in 2013 than previously expected. Between Wright and Bay, the Mets have saved some serious coin that few were expecting, yet they haven’t signed anyone to a major league contract yet. The team looks worse than they did at the end of last year on paper. Again there is still two months left in the offseason before Spring Training starts so there is still plenty of time for Sandy Alderson and the Mets to improve their team. However with all the money the Mets saved plus promises from the front office of an improved outfield, something is up that makes the Mets look more cash strapped than we thought. It is concerning that the Mets are going out of their way to save money in deferrals without spending it so far. 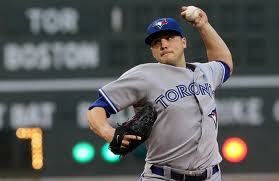 The Mets have shown interest in free agent starters to replace R.A. Dickey after he was traded to the Toronto Blue Jays. 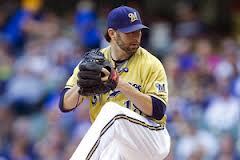 One of the pitchers the Mets are interested in is former Blue Jay, Shaun Marcum. The Mets have also shown interest in Brett Myers, Joe Saunders and Francisco Liriano. Liriano got a two year deal worth $12.75 million with the Pirates. All three other starters are holding out hope for two year deals like Liriano. Out of these three free agent starters Shaun Marcum should be the Mets top target. Marcum, 31, has had trouble staying healthy throughout most of his career but when he’s been on the field he has pitched like a solid #2 starter. 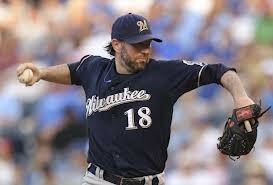 Marcum pitched just 124 innings last season with the Brewers and is now a free agent for the first time in his career. Between the 2010 and 2011 regular seasons, Marcum through a combined 395.1 innings so he has been a proven innings eater when healthy. Marcum has always been able to strike guys out and has never walked many. If the Mets can get him on a one year deal with incentives or a one year deal with a team option, Sandy Alderson will have done very well. The Mets don’t want to give any starter a two year deal because they have Zach Wheeler coming up soon and want to leave a potential spot open for him. Marcum is the best free agent starting pitcher in the Mets price range. As free agent outfielders continue to fly off the board, the Mets are running out of time and players to improve arguably the worst outfield in baseball. 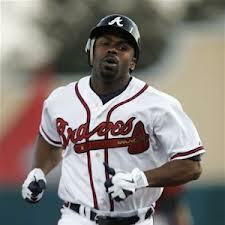 The best outfielder left in the Mets price range may be Scott Hairston, who spent the last two years in Queens. Even if Sandy Alderson does give in by giving Hairston the two year contract he is looking for, then the outfield will be the exact same alignment as last year. 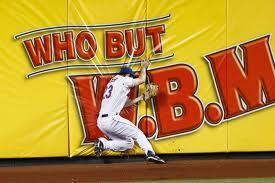 The Mets need to think outside the box to fix their outfield. Their best option may be to sign an international free agent to put into their outfield mix. 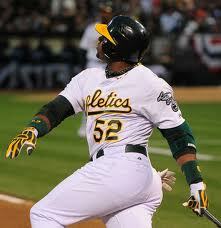 Last February the Oakland Athletics signed Cuban defector Yoenis Cespedes, to a four-year, $36 million deal. Cespedes turned out to be a huge steal for the A’s and finished second in American League rookie of the year voting. The two top Cuban prospects this year, shortstop Aledmys Diaz and outfielder Dariel Alvarez, have been declared free agents and could soon enter the free agent market as early as next week, according to an industry source. 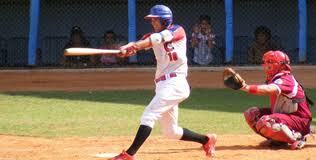 Neither is expected to sign with a major league team until mid January at the earliest. Diaz, 22, is training with a professional team in Mexicali, Mexico, and will take part in a series of showcases that could start next week. Several teams have already expressed interest in the infielder, but will likely have to wait until early next year to sign him. He is a right-hand hitting shortstop so he probably isn’t the best fit for the Mets. Alvarez, an outfielder is a much better fit for the Mets. walks and 19 strikeouts. He will do a showcase for interested teams on January 5th and will sign shortly after that according to Juan Rodriguez of the Sun Sentinel. For the Mets to field a quality outfield in 2013 Sandy Alderson is going to need to think outside the box. A Cuban prospect like Alvarez makes sense, he will likely get a lot less money than Cespedes did and is very close to the major leagues. It’s definitely an idea the Mets should consider. Alvarez would be interested in signing with the Mets because they have the outfield hole and he could play right away at the big league level. Can the Mets make a run at Andrew Bailey? The Mets bullpen woes have been well documented and so far, no moves have been made to address the bullpen. This isn’t surprising as the Mets are expected to go bargain shopping for relievers starting in mid-January. The Mets best option for a long-term closer may be in a trade. Boston’s Andrew Bailey would be a great fit. 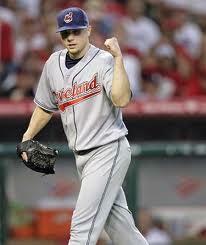 Bailey, 28, isn’t a free agent until 2015 and will go under arbitration for the second time this winter. He had 81 saves in three seasons with the Oakland Athletics before being traded for a package of Red Sox including OF Josh Reddick. Bailey had a rough season with the Red Sox because he was injured for most of the year. 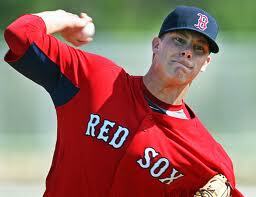 He lost his closer job when the Red Sox picked up Joel Hanrahan from the Pirates a few days ago. Bailey had a seven ERA in 2012 but had just 15 innings under his belt. 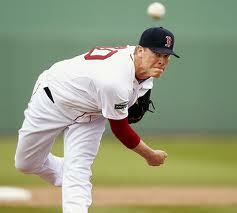 He is no longer Boston’s closer and will get a raise from his $3.9 million salary under arbitration. ESPN’s Buster Olney tweeted that the Red Sox are willing to trade Bailey and even offered him in a deal to Toronto for manager John Farrell. The Blue Jays elected to acquire Mike Aviles instead but the idea that Bailey could have been traded for a manager, means that his value can’t be that high. Bailey would immediately be the Mets best reliever and could be a viable closer or set-up man in the Mets bullpen. His price tag and poor 2012 mean a team like the Mets could acquire him without giving up something significant in return. The Mets announced that they have signed left-hander Aaron Laffey to a minor league contract with an invite to major league spring training. Laffey, 27, went 4-6 with a 4.56 ERA (51 earned runs/100.2 innings) in 22 games, 16 starts with the Toronto Blue Jays last season. Laffey can start or pitch out of the bullpen for a team. Laffey has a good chance of making the Mets big league roster as Terry Collins said before the end of last season that the team will add a veteran lefty, with hopes to ease the load on Josh Edgin and Robert Carson. Laffey can be a swingman for the Mets like he was with the Blue Jays last season. Laffey, with a good spring will probably make the Mets roster as a reliever. Lefties hit .239 last season off Laffey. Despite having to wait on the open market much longer than anticipated, free agent outfielder Michael Bourn is still out of the Mets expected budget. Bourn who would be an awesome leadoff hitter and center fielder for the Mets will get a contract far out of the Mets price range. Just when you think a Scott Boras client market’s is dried up he always finds a way. Prince Fielder is a perfect example from last offseason. 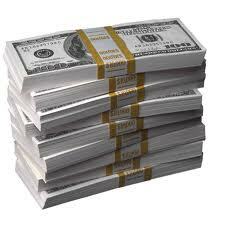 Fielder got $214 million from the Tigers in late January. 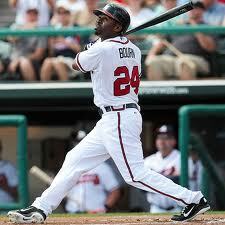 Also Bourn was offered salary arbitration by his old club the Atlanta Braves. That means if the Mets signed him they would have to give up their first round pick, 11th overall to Atlanta. The Mets in addition to the price tag would be unwilling to give up that pick. Only the top ten picks are protected and the Mets are 11th. Bourn would be a nice fit but the Mets have a much better chance of spending money next offseason when their only guaranteed contracts are David Wright and Jon Niese. Bourn hasn’t gotten the money he was looking for as of yet but teams like the Rangers and Mariners will likely heat up the bidding after the new year.